Please join CIC teachers and staff in celebrating Sara Haghani on her remarkable academic and personal achievements. Sara has accepted an offer to attend the prestigious Yale-NUS College in Singapore on a first-year scholarship, valued at S$49,700. According to Quartz Magazine, Yale-NUS’s global acceptance rate of 5% makes it harder to get into than any of the US’s exclusive Ivy League schools. Yale-NUS went on to appreciate Sara as someone “who thrives on challenge, excellence and making a difference in the world.” During her CIC valedictory address in December 2016, Sara called on her fellow graduates to champion their diversity and embrace global citizenship, reminding them that “our similarities far outweigh our differences”. Sara’s commitment to community service helped her stand out in Yale-NUS’s talented applicant pool. During her time at CIC, Sara accumulated a total of 425 community service hours, supporting initiatives such as the 30 Hour Famine for World Vision and fundraisers for the Canadian Cancer Society. She devoted herself to student life, earning a position on each of CIC’s Executive Student Leadership Teams, and winning the Outstanding Leadership Award on each of those teams. Congratulations, Sara! We wish you the very best on your next adventure. Come celebrate our graduates! 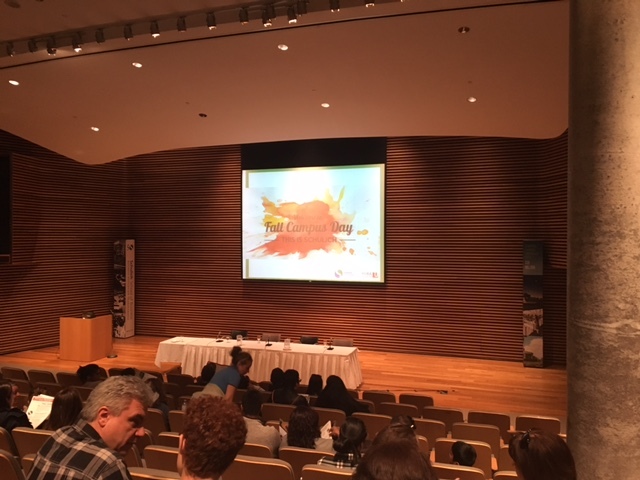 Join our live video stream, beginning at 1pm EDT by following the link below. A full recording of the broadcast will be made available after the ceremony has concluded. Welcome parents, teachers, friends, and families. Our warmest congratulations to the class of December 2016! Join us at 11:00am EDT through a live stream of the event. Led by music teacher Jim Lawlis, students in CIC’s “Rockestra” performed a powerful, full-band rendition of “Bobcaygeon” by The Tragically Hip. This year’s panel of judges includes musicians Marie-Josée Lord, Zach Sutton, Scott Helman, and CBC Tempo host Julie Nesrallah. Out of hundreds of submissions, the judges selected the top ten performances across six categories of different ages and arrangements. CIC’s Rockestra was placed in the “High School Vocal/Choral (a cappella or with band)” category. CBC Music will announce the winners on December 16th. CIC would like to wish all participants good luck! 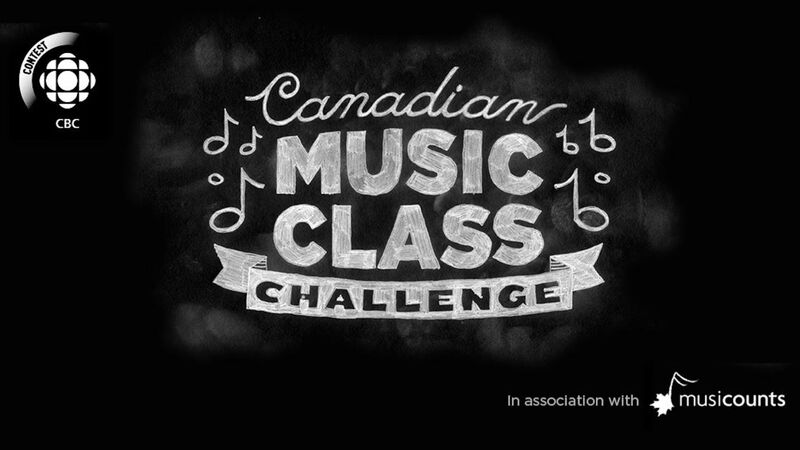 More information on the CBC Canadian Music Class Challenge can be found here and here. 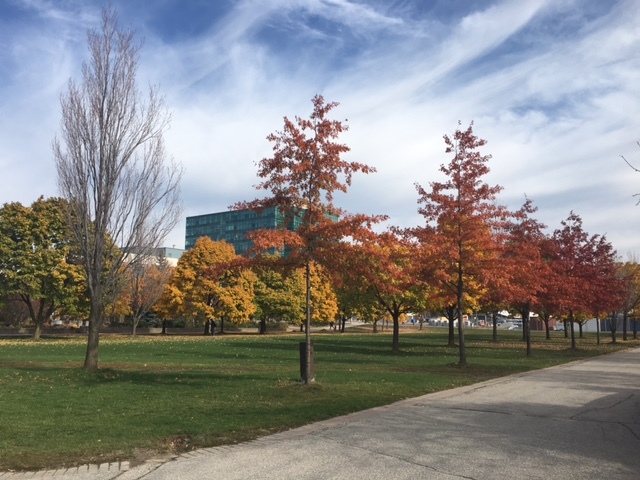 The University Placement Office (UPO) has been running a number of trips to take students to visit the University of Toronto (Mississauga), University of Waterloo, York University, Brock University, Western University, University of Ontario Institute of Technology, and Ryerson University. These trips are run on Saturday or Sunday, and run annually October through the end of November. 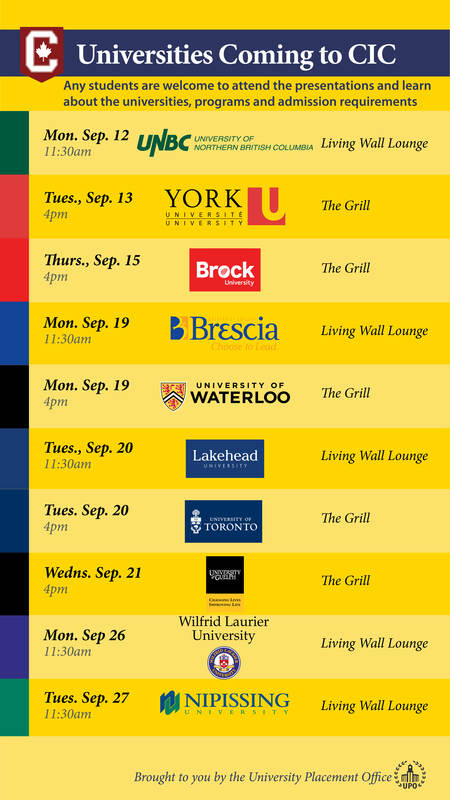 The trips offer our students opportunities to learn about university programs, admission processes, and study life. 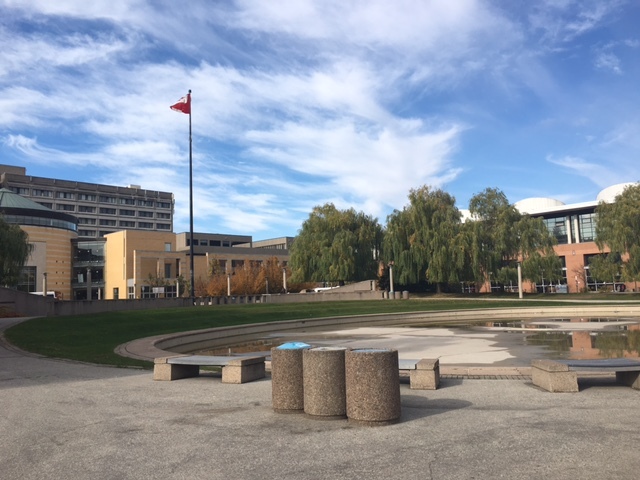 They also create time to talk to current students, professors, and admission staff about their interests and concerns, and allow the students to explore whether these are universities they like to attend in the future. CIC is the best pathway to top universities. These trips offer valuable experiences to the students, and remain a vital component of the Total Care Education System. On October 20th, students at Columbia International College will write the Ontario Secondary School Literacy Test. 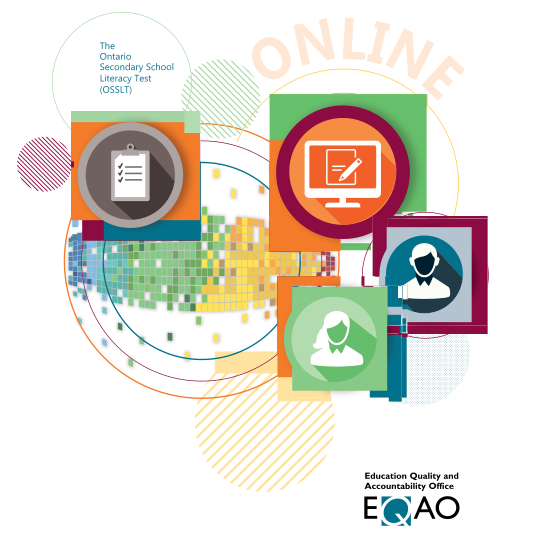 As part of the EQAO Online project, October 20th marks the first time the OSSLT will be conducted online. Lots of useful information is available via the EQAO website. We encourage students and parents to learn about the new format, and contact the CIC Academic Office with any questions they may have. EQAO have also published a Student Handout, which outlines three advantages to taking this year’s test online. Mr. Geoffrey Burnet commenced contract employment at Columbia International College in November 2014 following completion of a clean police and vulnerable sector screening report. Columbia International College has terminated the employment of Mr. Geoffrey Burnet as of September 20, 2016, and Columbia International College is cooperating with local police forces in their investigation of Mr. Burnet. 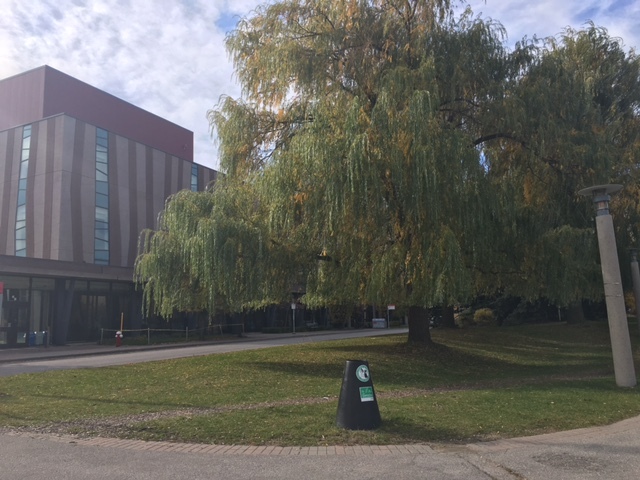 Columbia International College has been advised by police that the charges against Mr. Burnet relate to sexual misconduct in Hamilton in 2007/8. All of the misconducts are not related to any Columbia International College students, or the College itself. Mr Chris has heard the question a thousand times before. It would take little thought on his part to snap out a factual answer. He chooses a different approach. “The program is about challenging yourself, pushing yourself. It can be uncomfortable, and it can get busy. The nice thing is that everyone here wants you to succeed, and will work with you to find a path forward.” It’s a kindness that’s familiar to those who know Chris. He has intuited that listening and encouragement will help unlock the best in students. He begins his presentation as more students trickle in, whether to learn about the award or to submit their registration forms. While students can register at any time during the year, Mr Chris always recommends that they start early and co-ordinate the program with a graduation date. Prince Philip founded The Duke of Edinburgh’s Award in 1956. He hoped to foster a sense of responsibility among young people and their communities. Recognized in 130 countries, the program asks young people commit to an action plan of personal growth. The plan has four requirements that participants must meet to qualify. Participants commit to learn or develop a skill, engage in community service, stay physically active, and partake in an adventurous journey. The award program has two levels of distinction, Silver and Bronze. Mr Chris recommends 6–8 months to complete the Bronze program, and a full calendar year to complete Silver. “The best universities are looking for students who get more than high marks—they are looking for young adults who participate fully in their communities, who push their limits to see what they are really capable of,” says Mr Chris. The students are more hesitant when it comes to the adventurous journey—a culminating camping trip that has participants relying on their skills and relationships to overcome a challenge in uncomfortable territory. There is a mandatory one hour meeting each week leading up to the journey, where participants will learn wilderness safety, first-aid, and survival tips. “We’ll teach you everything you’ll need to have an amazing time,” beams Mr Chris. For more information, you can visit the 2nd floor Study Lounge and speak with Mr Chris or Mr Tony. You can also send Mr Chris an email.